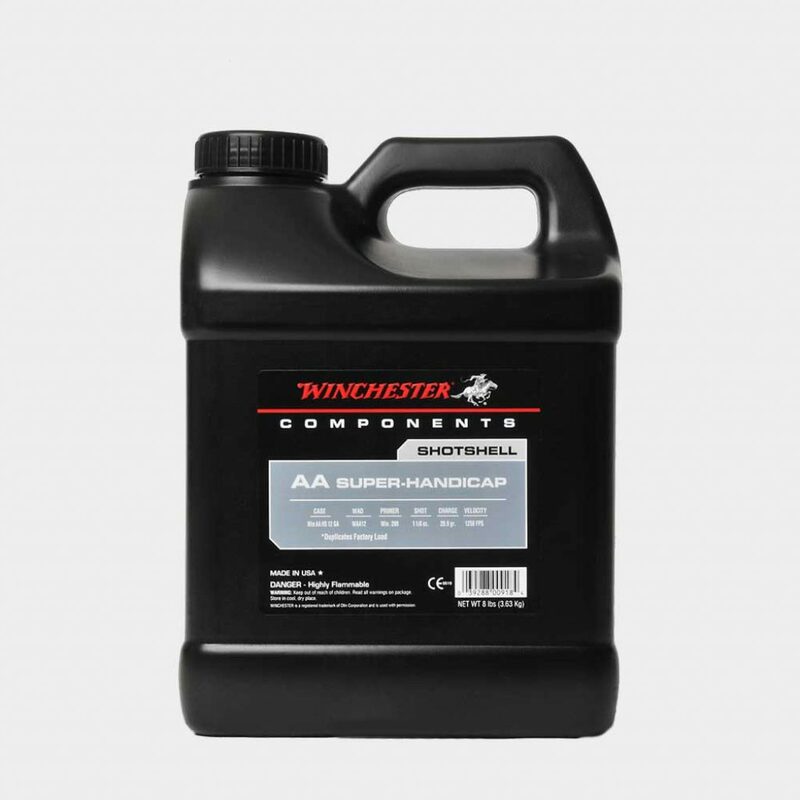 Winchester Super Handicap is a ball powder and the same propellant used in Winchester’s Super Handicap ammunition. 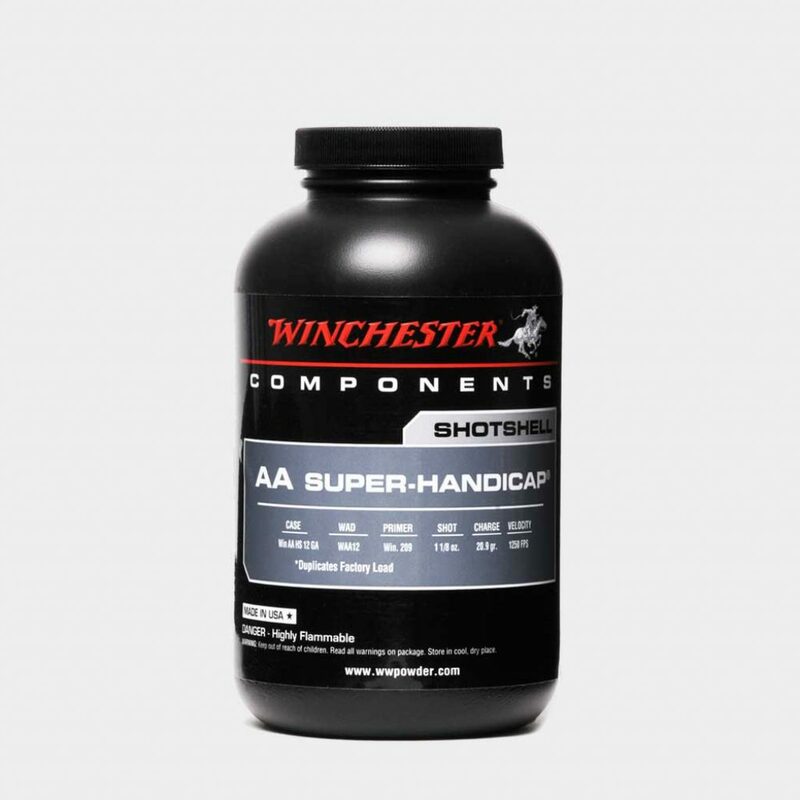 This slow-burning, high energy propellant gives the shooter great handicap or long range sporting clays loads at up to 1250 FPS with a 1-1/8 ounce shot charge. Great velocity with excellent patterns!